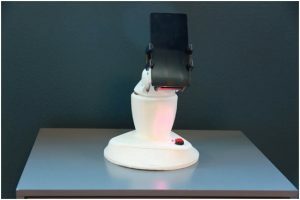 Endurance robotics startup that was originally from Russia opened an office in the US, Naples, Florida and started to distribute their robot DIY SelfieBot for free. Endurance claims that they want to help young people especially students to jump into robotics. Endurance is bringing robotics to high school and colleges for free. As far as George Fomitchev (founder of a startup) says that they opened all codes sources and schematic so any student can reproduce the DIY SelfieBot on campus or at home. 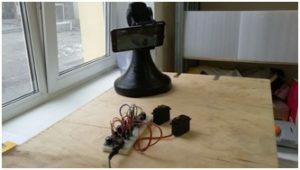 DIY SelfieBot (because of Do-It-Yourself) is a tool for students to make own robot based on prepared tutorials and guidance. Endurance tries to make it as simple as possible sharing knowledge and experience. Their idea is to make robots and robotics technology popular among software and mechanical engineers. George Fomitchev a former banker wants to bring consumer robots to our daily life and that is why he is also making a TED – like show talks in SWFL (Naples and Cape Coral) educating people and telling them more about upcoming new technologies. George is claiming that students need more advanced tools to make their own robotics and it is hard to find practical open source robot that can be done on a 3D printer. 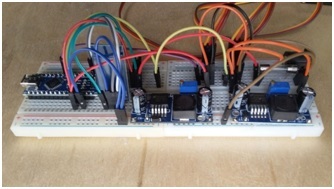 With DIY technology it is quite easy to follow guidance and make a robot yourself. Of course it is better to know languages like C to be able to program Arduino. Still there are many communities where people can share their experience and some examples of their work. The difference between DIY and commercial version of a SelfieBot is not that huge. First of all DIY is very simple to assemble and many elements are excluded from the final hardware design. All parts and schematic is described on Endurance’s web site. It is distributed under creative commons attribution noncommercial share alike 3.0 license. It means that anyone can make it but has to put a reference on Endurance’s SelfieBot as a basic source. Under this strategy company is planning to get together enthusiasts and hobbyists together around this technology. It means that people can share their ideas, vision and thoughts about how to make it better. Right now Endurance is starting its partnership with several colleges like FSU and FGCU. George would like to get at least 20-25 colleges getting ready to begin assembling SelfieBot starting fall 2016 and he said that he is in a process of negotiation with colleges in CA right now. In general it is a mobile driven robot for telepresence. Well, most of features that are available on your smart phone or a tablet are now available in a movable mechanism (movable mobile mount). The SelfieBot DIY platform is a tool that empowers students to turn your mobile device into a smarter machine. In some cases it is truly easy to do. Recording or broadcasting a video while turning after a speaker. Auto tracking facial API tracks a face and rotates amount to keep speaker in focus. Endurance is not selling any parts for making a SelfieBot. They are all available on Ebay and Amazon but would be nice to have some sort of a Endurance DIY SelfieBot Kit where you can buy all parts in one box. Normally when there are a few groups are making something then a high school teacher or a college professor has to help them with their progress, now the good thing is the Endurance is going to help professor and teacher to deal with students. Endurance is also inviting students for a summer internship program. For example a few students from Jacksonville University are planning to start making SelfieBot after spring exams during summer. Developing a SelfieBot will not require a lot of time or special knowledge. A list of all the parts that you need to build your own robot. Endurance says that some upgrades are needed but it is not clearly stated if they are going to make this upgrades or do they want someone to take care of that.